@DHE on behalf of the CTWUG community: I salute and thank you for the donation. It's much appreciated. ill only be able to donate end of the month. being unemployed puts some strain on the wallet. There is a lot more to it than reaching a set target, the objective should be to keep wug owned high sites going. If the wug owned High sites shut down, the wug will shrink and shrink all to a point where there will be no more coverage and essentially no more Wug either. I didn't donate the biggest amount, but I donated towards the cause, that is the important bit, not donating for the sake of donating, but donating towards the cause. And yes, to those who don't know who I am, yes, I am from JAWUG. 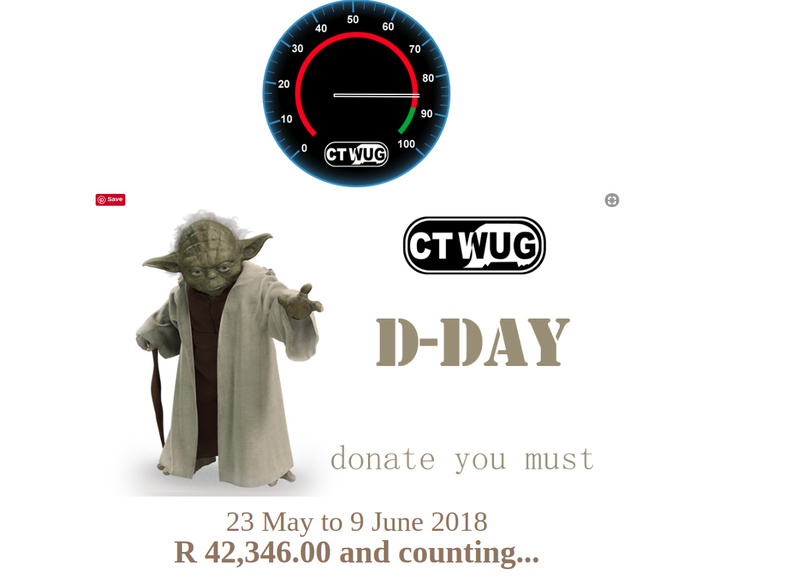 Seeing how the CTWUG community pulled together to reach their target is impressive and motivates me, seeing the growth over the past two years is also very impressive. Update please? Where do we stand now? Thanks for your interest and Support . . . Much appreciated. And Yes . 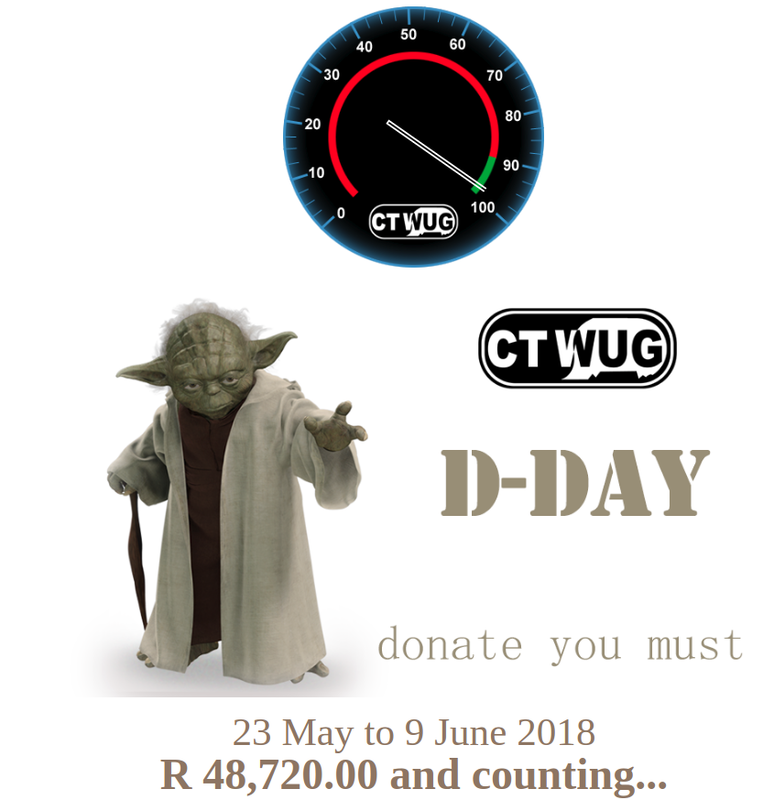 . . As much as you were inspired to donate towards this cause, while not even even being directly connected to CTWUG but rather a WUG Member of JAWUG, shows that a wide interest has been invoked among the WUG Community in general, from a inspirational aspect - We thank you for this . . .
You have my Salute . . . and gratitude. Yours Comradely . . . If you can't afford to donate then don't give it a second thought or feel guilty about it. It's the ones that can afford to donate that don't that should feel guilty. @Bronny is it possible you could post the list that made effort or that could donate. I would like to challenge my area. @Gekido and @Bronny tell me that we have likely made our goal if they account for the proof of payments that they received (but not yet cleared onto our statement). hi. everyone hope all is well. 1... The page ticker isn't a reminder for users to pay their fees.... it's meant as a request for donations! 2... It's not user specific... i.e: NO IT DOESN'T GO AWAY ONCE YOU'VE MADE YOUR DONATION! 5... Please read the forum before asking these types of questions... PLEASE? Thank you wuggers that have donated and to those that are still donating. My name isnt on the list. Did my donation not make it to the account or? Will donate tonight, didn't get to it this weekend. My name isnt on the list either.